First $1M in Millions for Millard goal reached! 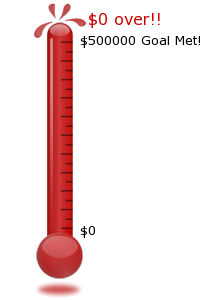 The Fuller Center for Housing is excited to announce that the $1 million fundraising goal for the Fuller Center’s Millions for Millard campaign has been met–a month and a half ahead of schedule! Since early February, $500,000 have been donated. And with the help of donors and friends Ted and Vada Stanley, who agreed to match each dollar donated up to $500,000, the combined total is $1 million. With that money, The Fuller Center is faithfully moving forward to help hundreds of families in the U.S. and around the world. “We feel so blessed by this tremendous outpouring of support. Now we move on to the next phase– providing decent housing for a million people. We are confident that our good friends will continue to support this ministry and that many new friends will join us in this important work,” Fuller Center President David Snell said. The Fuller Center launched the initiative in memory of our founder, Millard Fuller who made housing a reality for one million people during his 29 years as president of Habitat for Humanity International. The original goal was to raise the money in time for the Millard Fuller Legacy Build Aug. 30-Sept. 4. The incredible outpouring from friends and supporters in the weeks and months following Millard’s passing helped reached that goal, incredibly, six weeks early. Raising the $1-million was one piece of the three-part campaign. A million dollars will kick off the initiative to provide decent shelter for one million people throughout the world over the next 15 years. And throughout that time the Fuller Center aims to recruit one million volunteers. With so many dollars gathered, we can begin to work toward this long-term goal. Join the movement to eliminate poverty housing. Click here to sign up as a monthly donor.